"I write with the TV on. I always have to have it on. 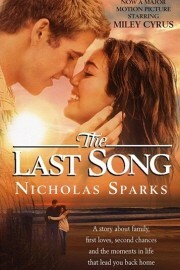 I use it as a sort of background noise," Nicholas Sparks explains to The Daily Beast. Read all about Nicholas's daily routine and how his films have changed his writing process in this new interview! The Longest Ride Debuts at No. 1! Thank you so much to all the incredible Nicholas Sparks fans and dedicated readers who helped The Longest Ride debut at #1 on The New York Times (print, e-Book, and combined print and e-book categories) and USA TODAY best-seller lists! Nicholas Chats with PopSugar Live! Nicholas visited POPSUGAR Live! this week to chat about his latest bestseller, The Longest Ride, and to explain how it resembles what's possibly his most famous release, The Notebook. Watch it now at PopSugar.com. Nicholas on GMA this morning! Nicholas dropped by Good Morning America today. Check out his new interview with George Stephanopoulos to learn more about his creative process when he wrote his latest novel The Longest Ride.